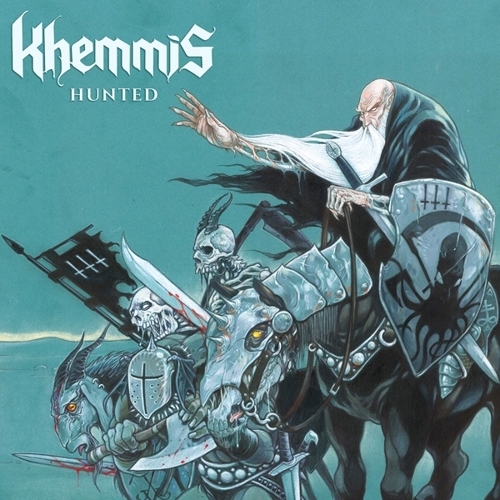 &lt;a href="http://khemmis.bandcamp.com/album/hunted"&gt;Hunted by Khemmis&lt;/a&gt; Khemmis’s first album, Absolution, was released by 20 Buck Spin in July 2015 and steamrolled all that came in contact with its unforgettable heaviness and classic melodicism. Virtually unknown outside Denver at the time, by year’s end they had landed in the #9 spot on Decibel’s annual top 40 albums of the year. Hunted reveals a Khemmis fortified in its purpose and vision, forging an unrivaled synthesis between immense doom riffs and Maiden-esque harmony. Overall song length has increased, yielding expansive arrangements and dramatic storms of elegance and melancholy. Not content to plod through a sea of tears, and always a rock band first, they approach a High On Fire-like pace with the pummeling “Three Gates.” The lauded singing of vocalist Philip Pendergast reaches ascendent new heights on tracks like “Candlelight” and “Beyond The Door,” while the tasteful use of harsh vocals remains, providing a dark, foreboding contrast. The thirteen-minute title track closes the album with an epic stunner. Hunted will solidify Khemmis’s place at the vanguard of doom’s most notable modernmanifestations, in large part because they transcend the label itself.